Looking for a romantic night out? 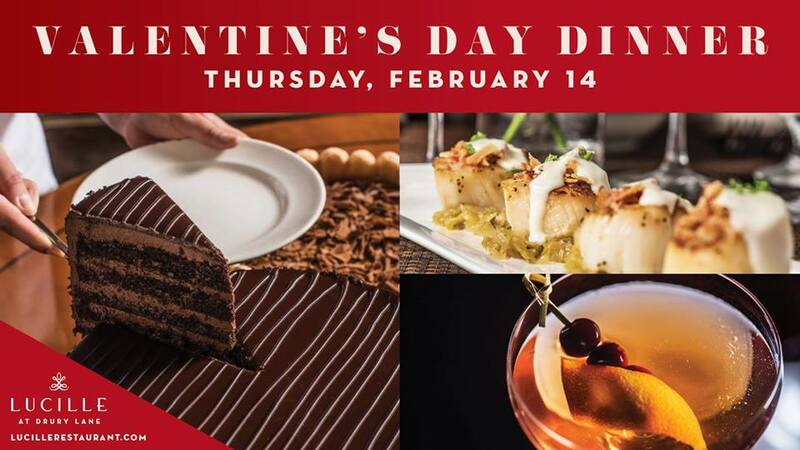 Join us for Drury Lane's annual Valentine's Day celebration! Add to your special evening with a performance of the international megahit musical Mamma Mia! * For more information or to make reservatoins, visit LucilleRestaurant.com or call 630.530.8300. *Mamma Mia! tickets are not included. Dinner/theatre packages available by calling 630.530.0111.